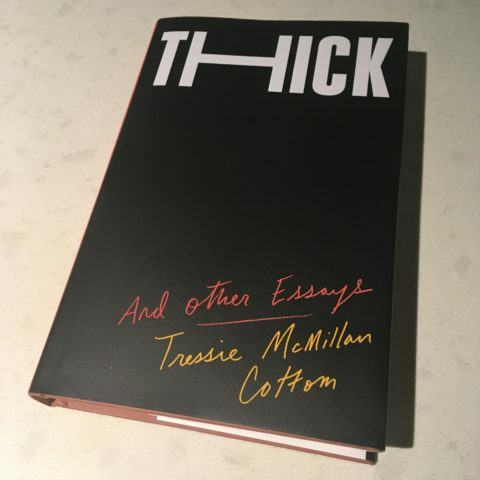 Currently reading Thick, by Dr. Tressie McMillan Cottom. I champion Dr. McMillan Cottom’s work because she is that rare writer who accessibly, powerfully, and unapologetically bridges the silly, pernicious, and ridiculously self-inflicted (on both sides) divide between academia and the street…or in my case, the rural road. Through Dr. McMillan Cottom’s Twitter feed I discover we both cherish Dolly Parton, boiled dinner in cold weather, Robert Duvall in The Apostle, the poems of Lucille Clifton, and Lawry’s Seasoned Salt. And neither of us has seen Star Wars. By side effect, I am more receptive to her academic considerations on the study of race as an axis of stratification (which she kindly renders in terms I can understand). The day she described handling a hater by acting “country dumb,” I busted into a giant grin. Thick is not easy. Thick will not let you off the hook. Thick, as the academics say, is causing me to “interrogate” myself, past and present. I want to say that takes courage, but cripes, that ain’t courage, that’s basic empathy. Like Jesus would want you to do. P.S. If you work in health care, be it in the ditches, on the street, or in the well-lit rooms, “Dying to Be Competent” is required reading.